It was a hard-fought campaign, and when the votes were counted, we were not victorious. I congratulate Matt Dababneh on his re-election and wish him well as the representative of the 45th District. Thank you for your support, donations, time, work, encouragement and friendship. This amazing all-volunteer campaign defied gravity and rose twenty points above Republican registration, demonstrating the universal appeal of freedom, limited government, and civility. I'm very proud of the campaign we ran. We focused on identifying problems and offering solutions, and the voters who heard our message responded with a level of enthusiasm that should give us all hope for the future of government by the people. California needs everybody at the table, working on solving the problems that are causing jobs to leave our state. I think we showed that a campaign can bring complex issues into the political arena and energize people to become involved. In our campaign, we successfully sounded the alarm about seven proposed constitutional amendments that would have undercut Proposition 13 by making it easier to pass bonds and parcel taxes, which show up on property tax bills as extra charges. 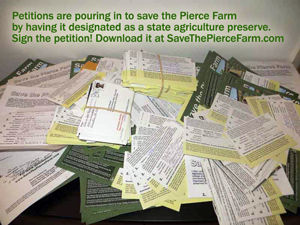 We also alerted the voters to the threat posed to the Pierce College Farm by proposals for development, and we are making great progress in our effort to have the farm declared a state agriculture preserve, ensuring that the beautiful, historic and academically important Pierce Farm will be there for future generations. Politics is not just about filling offices. It's our public square, where we argue about ideas and issues that shape our future. I think our campaign has contributed much to the discussion. Thank you for being a part of it. Click here for the petition and here for more information. For about a dozen years, the L.A. DWP has diverted 30 billion gallons of drinking water each year to the dry Owens Lake to hold down dust. That’s as much water as San Francisco uses in a year, equivalent to a Rose Bowl per day of drinking water. The cost of this project, in excess of $1 billion with no end in sight, is borne by the ratepayers of the DWP: almost two months of your annual water bill goes to the Owens Lake Dust Mitigation Project. There are other methods to control dust, but instead the lake bed is flooded with drinking water. Why? Because air quality regulators demand it. The scientific research behind the dust regulations has been kept secret from the public, despite a congressional subpoena from the House Science Committee on August 1, 2013. Why have our local representatives been silent about this waste of scarce water and hard-earned money? Who represents you? The politicians joining the call to rip up the Orange Line busway and replace it with light rail include Matt Dababneh, Bob Blumenfield and Mitch Englander. At the urging of these politicians as well as Metro Board member and City Council member Paul Krekorian, Metro’s Board recently voted to go forward with a feasibility study of converting the Orange Line to light rail. The cost of a conversion is $100 million per mile, according to Metro. That puts the minimum cost for the 18-mile route at $1.8 billion. There is no funding at present for this project, but the politicians are talking about paying for it with billions of dollars from “Measure R 2.0,” yet another hike in the sales tax, to be put on the ballot in 2016. The price of gasoline in California is set to go up on January 1 by an estimated 12-20 cents per gallon because of the next phase of implementation of AB 32, the 2006 law intended to prevent global warming. 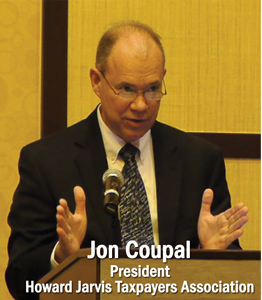 The nonpartisan Legislative Analyst’s Office released a report on August 6 confirming the price increase, the result of vehicle fuels coming under the state’s cap-and-trade law. “The price increase could exceed 50 cents per gallon,” the LAO reported. In February, the LAO estimated that this would mean the total cap-and-trade revenues through 2020 could be between $12 billion and $45 billion. A few months later, the governor and the majority party in the legislature agreed to spend 25% of this cash on the bullet train and 35% on transit projects, including high-density housing near transit stations. The Legislative Analyst's Office report can be found here. The details of the deal to spend the cap-and-trade money can be found here. 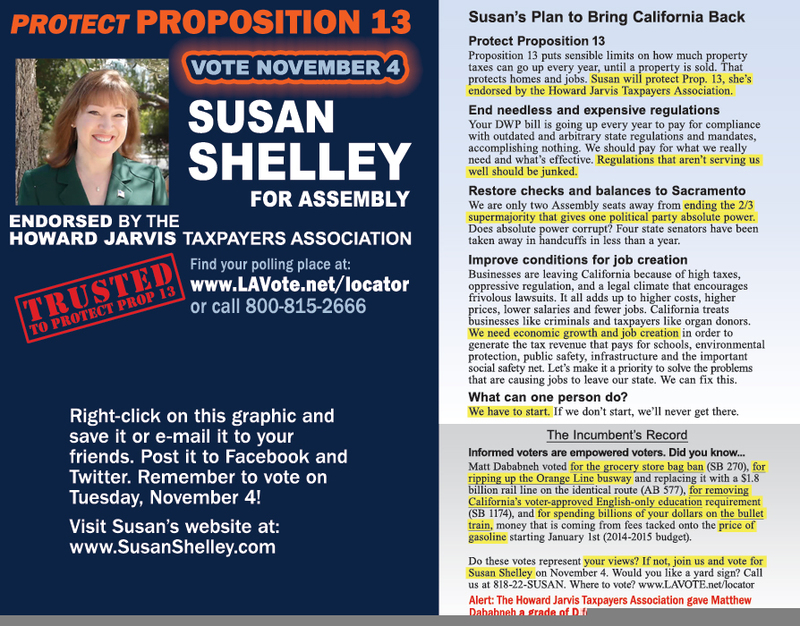 The seven proposals that would lower the vote needed to pass parcel taxes and bonds from the current two-thirds (as required by the state constitution and Prop 13) down to 55% are: Assembly Constitutional Amendment 8 (infrastructure bonds), Senate Constitutional Amendment 7 (library bonds), SCA 4 and SCA 8 (transportation bonds), SCA 3* (parcel taxes), SCA 9 (community development bonds) and SCA 11 (bonds for “any general purpose”). All of these need a two-thirds vote in the Assembly and in the state Senate to get on the ballot, but once on the ballot they need only a simple majority to pass. Thereafter, local bonds that fall under these categories could be put on the ballot and would pass with a vote of 55% instead of the two-thirds vote now required. Currently, only school bonds can pass with a 55% vote, as a result of a constitutional amendment in 2000. *SCA 3 was 'gutted and amended' in June and no longer contains the parcel tax vote change, but supporters say they're working to bring it back in another "vehicle." Click here to read more. Welcome. Great to meet you! Thanks for visiting. My name is Susan Shelley, and I'm running for the California State Assembly in District 45, which includes Agoura Hills, Calabasas, Hidden Hills, Bell Canyon, Woodland Hills, West Hills, Canoga Park, Winnetka, Reseda, Reseda Ranch, Tarzana, Encino, and Northridge and Chatsworth south of Devonshire Street. I hope you'll take a look around the website to find out more about what we can do to restore economic growth and job creation to California, and how we can solve the problems that face us. It doesn't have to be like this. We can make California great again. I'm proud to be endorsed by the Howard Jarvis Taxpayers Association. 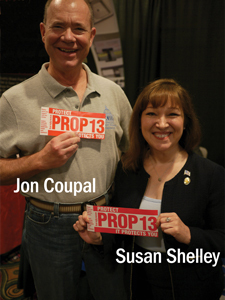 I will protect Proposition 13. You can count on it. 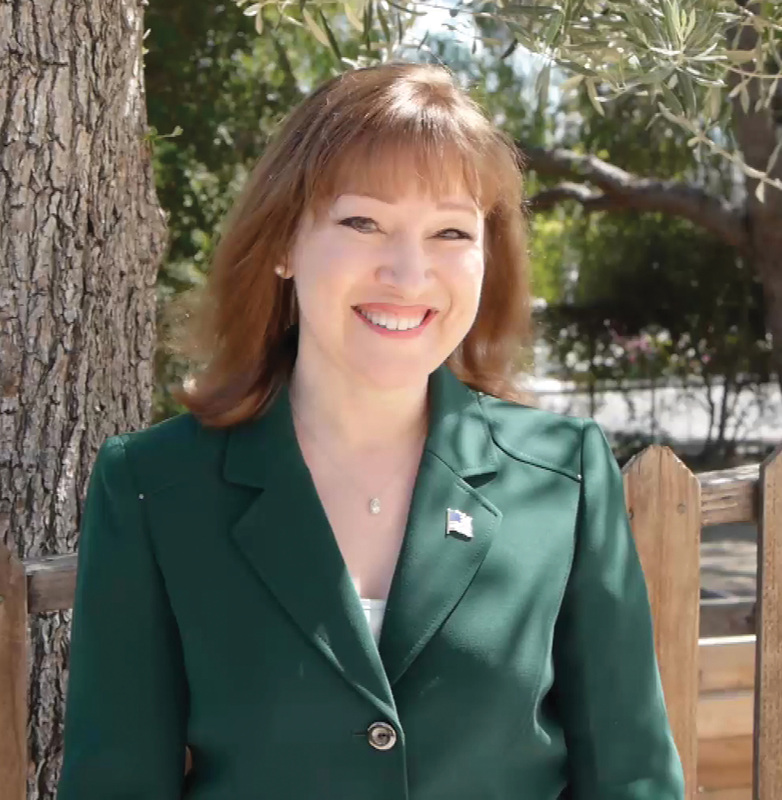 Here's a video of a speech I gave recently about issues facing California, including property taxes, energy and water, the budget, the bullet train and film production subsidies. During this campaign I would like to meet every voter personally, but with your schedule and my schedule, that may not be possible. I'm glad there's YouTube!